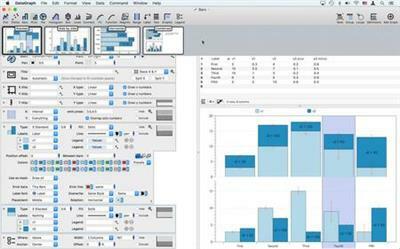 DataGraph is a combination of statistical tool, visual data exploration and a drawing program. You can enter in data, import data from huge text files or Excel spreadsheets, modify manually or massage using arbitrary expressions and numerical methods. You can compute statistics such as function fits, multivariate fits, histograms, box and whisker.